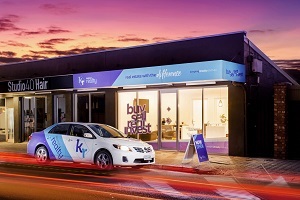 Selling Property Adelaide | Experienced & trusted real estate sales agents. Selling property can be a very big decision to make and it is something most of us do on average every 7 to 10 years. 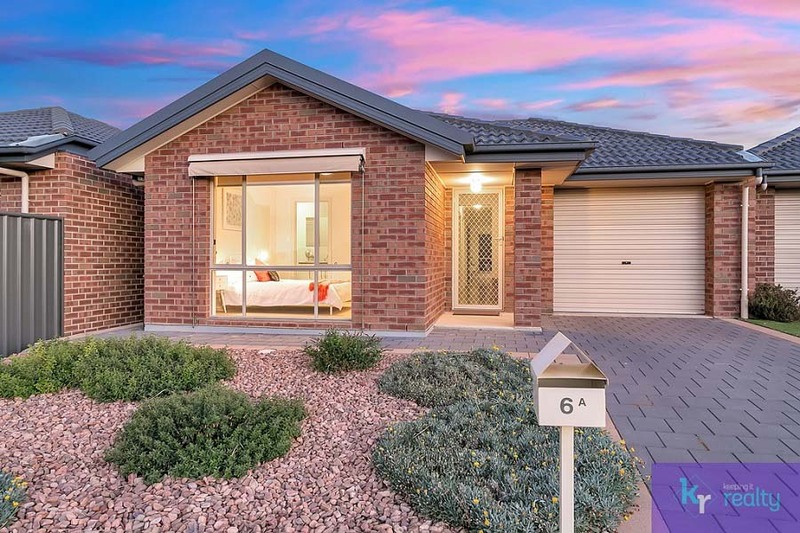 During this time, markets can change and the choices you will need to make when selling your property may vary considerably. Emotional negotiations between buyers and sellers which involve large sums of money should always have an agent acting as a mediator. Engaging a qualified and licensed real estate agent to act on your behalf during the sale, will ensure a stress free selling experience and may help you avoid painful and costly mistakes. Our experienced and professional agents are proficient in the latest marketing tools and technology, are aware of the current legislative requirements and will always act in your best interests. If you would like a free, no obligtion chat about your circumstances, please don’t hesitate to get in contact with our friendly team. We have a proven track record of helping sellers achive their financial goals and assisting them with their greatest move. You won’t be disappointed! Understanding your needs will enable us to determine and suggest the best possible options for your circumstance. Whether you are looking to downsize your home, are thinking about tackling renovations to maximize the sale price of your property, or are even considering leasing your property, understanding your requirements will ensure that we tailor our service to exceed your real estate expectation and deliver the best possible outcome for you. Over the years, we have helped deliver successful outcomes for our ever growing and loyal client base. These proven results are attributed to our skills in project management, effective communication, strong marketing and outstanding negotiation. 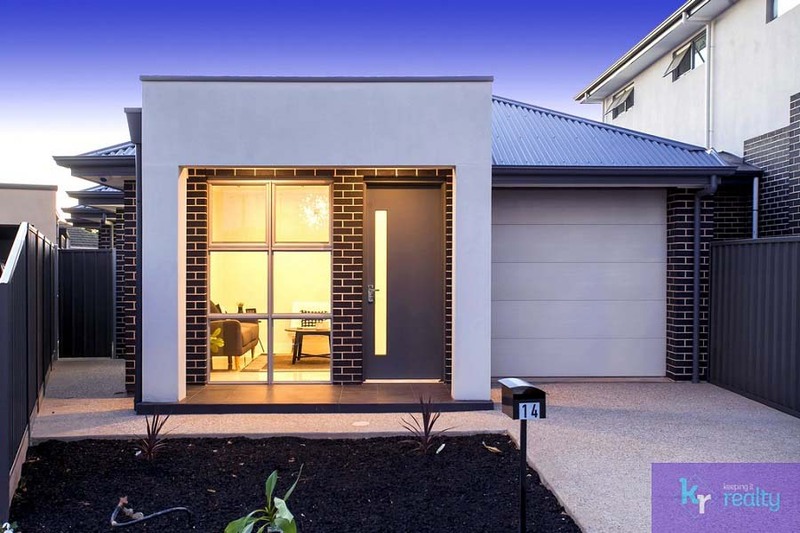 We understand what is required in achieving the best possible results, through our own experiences in property investing, renovating, building, developing and selling. 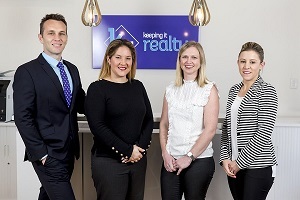 Over the last decade, we have aligned ourselves with an extensive support base of skilled trades people, building inspectors, conveyancers, mortgage brokers and utility management providers, who have continually provided outstanding service to us and our clients. As a client of Keeping It Realty you will also have access to our invaluable resource pool of experts. The best method of sale for your property will vary on number of factors including the type of property you own, the location of your property, your preferred time frame and the continually changing market conditions. At Keeping It Realty, we use the following four main methods to sell real estate. Each method has its advantages and disadvantages. Take the time to discuss each of the following options with us so that you fully understand them. This will allow you to make an informed decision, as to which method best suits your needs and goals. This is the best option if your property is expected to be in high demand and determining a likely sale price is challenging. Auction is a highly emotive process which can lead to surprising outcomes that defy any logic. Auction attracts buyers of all types. A popular method of sale in recent years as an alternative to auction for highly sought after properties, particularly those of high value and distinction. Tender is less emotive than auction, however it is discreet and is not reliant on multiple buyers for its success. Tender attracts only the very serious buyer as some people feel less comfortable with this process. Ideal for a sale where the expected price is reasonably easy to determine and where there may be a number of other comparable properties on the market for the buyer to choose from. This refers to selling properties directly from the databases, contacts and networks of the agent. Selling your home is a complex procedure and it is easy to get confused and overwhelmed with all the information, forms and real estate jargon out there. Whether you have sold your home before, or if it’s your first time, we will guide you every step of the journey! Our natural inclination is to go the extra mile, whilst providing the ultimate customer service experience exceeding our clients’ expectations, every time. We treat every sales campaign like an individual project, which when combined with our management experience, our thorough knowledge of the industry and our strong attention to detail, guarantees that the entire process is seamlessly delivered with an outstanding result! Beautifully presented homes can excite buyers and add thousands of dollars to your selling price. Taking the time and energy to create a great first impression during the open inspection, is well worth the effort!Tasks such as de-cluttering, tidying up the gardens or conducting a thorough house clean, can easily be performed or arranged by the home owner. Other tasks such as general house maintenance, cleaning of gutters or painting works may prove to be a little more daunting or challenging but may be warranted to provide the best sale result for your property. We can provide you with suggestions to make the right presentation decisions without over capitalizing. Furthermore, we can assist with quotations, preparing a budget and coordinating the relevant trades from our selection of affordable, yet highly skilled tradespeople and our background in construction and project management. Marketing is a key component to achieving a premium price for your property. Our aim is to create exposure whilst exciting and attracting buyers and generating maximum interest in your property. Through this, we can create competition between buyers and negotiate the highest sale price in the quickest possible time. Marketing is often perceived to be an enormously expensive procedure costing thousands of dollars in addition to agent commission. This is not necessarily true. Our affordable marketing packages can be tailored to suit your budget and we can provide case studies and suggestions to ensure you are making the right marketing investment, for the best possible return. 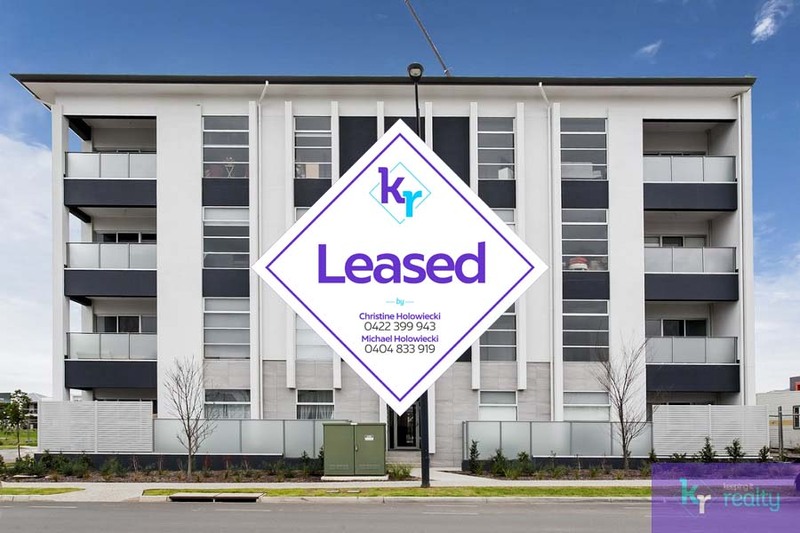 Our impressive array of additional marketing initiatives, backed up by Christine’s tertiary qualifications in marketing, guarantees your property stands out from the others and is presented to the buying community with a degree of marketing flair, that is not offered by other agencies. Our proactive approach combined with our strategic decision to hold lower levels of housing stock, means that we can personally answer all buyer enquiries, follow up any leads and always be available to conduct private home viewing inspections to prospective buyers in an efficient and prompt manner. In fact, many of our property sales have come from these private inspections or “after hours” appointments and we believe it’s better to show a home at a time that is convenient for the buyer, not just once a week, at a time that is convenient for the agent. It is this tireless and determined attitude, which has earned Keeping It Realty, a hard working reputation. We pride ourselves on our high level of communication, which is extremely important during the sales campaign of your property. Being informed means that you are able to respond quickly to the ever changing market conditions, so that you are in a prime position to make the right decision. Effective communication is also critical with potential purchasers to systematically determine their circumstances, including borrowing capacity, time in the market and the interest levels in your property. This information can be critical, in negotiating the best possible price for your home. We will also ensure that all online buyer enquiries are immediately followed up and we’ll track down any potential buyers we have on our extensive qualified buyer database. We will convey all buyer feedback to you and we’ll provide you with suggestions and advice, several times a week. We use traditional communication methods including phone calls and face to face discussions, but can also include SMS, emails, social media or whatever other preference you may have. If this isn’t enough, all feedback, reports, suggestions and documentation, will be logged in an online portal, into which you will have exclusive access to. We have found this portal to be extremely beneficial, especially for our interstate and international clients. We are highly skilled negotiators. The most common mistakes that people make when selecting an agent is basing their decision on an agent promising the highest sale price for your home. Although you are initially happy, overpricing will generally end in tears and can negatively impact the final sale price. You will waste thousands of dollars in advertising costs, and you will lose the interest of the best potential buyers, which is usually during the first four weeks of the sales campaign. Your home will stay on the market for longer and will become “stale” at which point it will only sell after a substantial price reduction, due to the psychological depreciation of it from a buyer’s perspective. Don’t be fooled by agents promising a high price to win your business. Ask the agent to provide comparative sales data so that an accurate price range can be determined for your property. A realistic price range based on comparable sales can create a multiple buyer scenario in which a skilled agent can negotiate the best possible price for your home. Understand that your agent will be negotiating the ultimate price for your home in the same way they negotiate their own professional fee. If they are quick to discount their own fee to win your business, imagine how quick they will be to discount the true value of your property to an interested buyer, to get a quick sale! As with most things in life, you usually get what you pay for, so it may be a much wiser investment to pay a thousand dollars more for your agent, to ensure you have hired the strongest negotiator to represent you in the sale of your home. At Keeping It Realty, we are committed to ongoing sales and negotiation training in order to give ourselves a leading edge over our competitors. Repeat Customer For a Reason! We are residential real estate sales and property management specialists. Can't recommend Keeping it Realty enough! Christine, Michael and their team work at such a high standard and their professionalism and due diligence are second to none. They made the sale of our home run as smoothly and stress free as possible. Considering some of the hurdles we faced (as a result of findings during a building inspection) it could've actually turned out to be extremely stressful and worrisome. They took control of the situation and handled it so well, we were in fact amazed with the outcome, not to mention what should've been a very stressful situation wasn't at all. They kept us in the loop and well informed throughout the entire process. We were guided with what to do next every step of the way. Our home had multiple offers and was under contract very quickly! We also received more than we had anticipated and were also very relieved to hear that the buyer was so ecstatic with their purchase and couldn't wait to move into their new home. 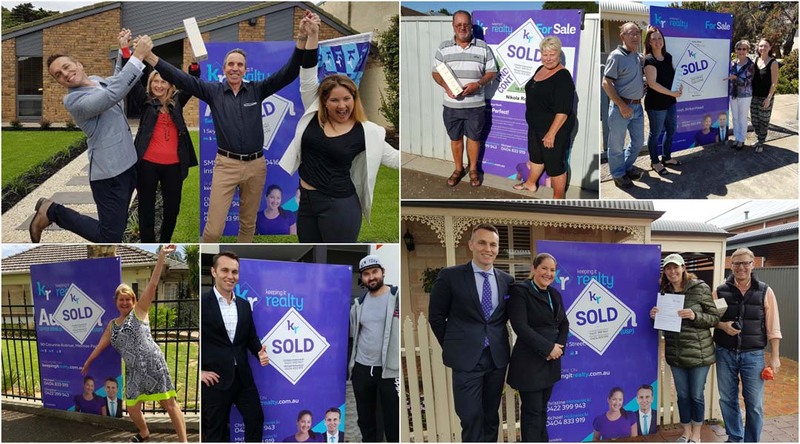 Keeping it realty offer different marketing strategies and sale methods individualised and tailored to each home and vendor. They are extremely knowledgeable and amazing at what they do! Couldn't speak more highly of them. If you are looking at selling or even purchasing a home I would wholeheartedly recommend them to anyone! I would recommend KR wholeheartedly to anyone for their exceptional service. Since first contact with Michael, it was refreshing to deal with an agent that is respectful and professional but at the same time friendly and easy to talk to. Maintenance issues we had, Michael responded timely and efficiently which makes this renting experience positively different. We couldn’t be more pleased with our choice to engage Keeping it Realty to help us to sell our property. Christine’s level of preparation, communication and overall attention to detail is outstanding and we can’t speak highly enough about our experience. We greatly appreciated the support and guidance in preparing the property for sale and Michael’s management of the required works, which were completed swiftly to a high standard. Christine worked hard to achieve a great outcome and maintained high levels of communication with us and the prospective buyers through an effective and transparent process. Many thanks to both Christine and Michael for their thoroughly professional approach and removing much of the stress from the process.We will not hesitate to engage the services of Keeping it Realty in the future. Christine is an outstanding Real Estate Agent. She is a great communicator and negotiator and from the first meeting we knew we were in safe hands. Her knowledge in the sales process is first class and she guided us early to ensure we presented the best possible property to market. Thanks Christine on a job well done! Dear Christine & Michael, You are not only experts in your field, but lovely people to work with. Christine, you are task and result focussed. We had a short timeframe to sell our property and you did it. You are no doubt one of the best at what you do. The regular online updates have been fabulous and communication has been efficient and positive. Michael, your support to us behind the scenes has been very valuable. You and Christine make a fabulous business team. 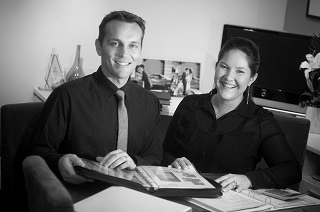 You both make the process of selling a home, seamless and less stressful. Your boutique agency and service is further enhanced by your team and the other experts, the photographer and home stylist who you have selected to work with you. We are extremely grateful for the exemplary service you have provided and thank you from the bottom of our hearts. For the past year I’ve been renting a property through Michael and have nothing but positive feedback on his property management abilities! Michael maintains a strong trait of professionalism and is a down to earth bloke. Any property related issues I’ve had to raise were quickly resolved in a fast hassle free manner. Michael shows a lot of initiative and has a proactive approach when trying to resolve any issues. His Engineering background clearly comes into play at times! Michael genuinely takes pride in what he does, and actively seeks to provide the best service he can. I would highly recommend Keeping it Realty for any property related services. My hubby and I recently were the lucky couple to rent a property through Michael.It was a very smooth transaction that we were both very happy about.The professionalism of the agency and Michael himself were impeccable.We would recommend the agency to anyone selling,buying or looking for a rental property. Michael from Keeping it Realty, engaged my services to take care of some clients' electrical needs. I was amazed at Michael's knowledge of the details of building and construction, allowing us to discuss his customers needs at the highest level. Michael's follow up is extremely detailed and his representation of his customers is by far the best I've seen. I like to provide detailed value for money service and Michael is like-minded in his approach. Given this company is works as an advocate for its clients, I have absolutely no hesitation in recommending this passionate business and it's staff. Will certainly be using them myself and will also recommend them to my customers too. An absolute pleasure to deal with. Excellent service, very aproachable, huge amount of knowledge and experience in real estate. Definitely recommend the services of Christine and Michael at Keeping It Realty. I would say a very honest and down-to earth person who understand your needs and always work with you as a friend. One of the best real-estate agent I have dealt with so far. Keeping it Realty manage two of our rental properties, and do so with professionalism and enthusiasm, and are always available to answer any queries we have - thanks! Very professional service taking all the hassles out of renting properties which is important as I live out of state. Their understanding of building issues and maintenance aswell as great communication about all aspects of my rentals. Wouldn’t consider using anyone else. I have no hesitation in recommending your service to anyone, one of the best realestate companies I have delt with for renting. Very professional, always communicates and is overall a lovely group of people who would help anyone, no problem is ever too little or to big for this team. Christine & Michael are just amazing! We greatly appreciated their knowledge of the market, what it takes to prepare a house for sale, the professionalism & honesty their team displayed to keep us updated every step of the way. Our communication with them was always collaborative. Their quick action, wise advice, and customer centricity is top notch. Christine’s customer service is impeccable, and you can tell that her heart is in all that she does for her clients. She periodically provided guidance, but always with a respect for our opinion. Michael’s support especially on technical aspects and providing answers to our questions on the connected requirements immensely helped us in many ways. We were concerned that our house, which was on a hammerhead block and in a neighborhood with many of similar homes, would be tough to sell. Christine & Michael made the process incredibly easy and took extra customized steps, encouraged discussions and gave us staging tips and a lot more. When we saw our listing we were blown away. 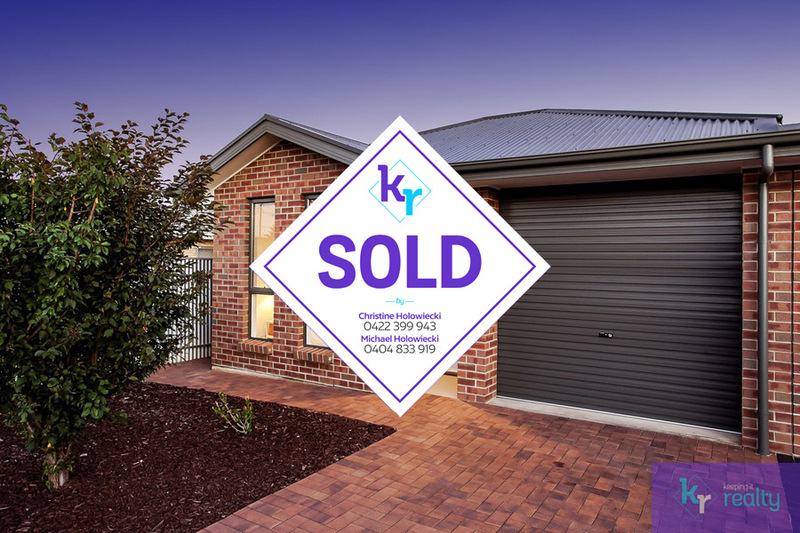 Their hard work and knowledge of what it takes to sell a home really paid off - our listing looked amazing and definitely knocked out the competition. It did not end there….Christine & Michael even did not step back to support us during the post sales phases. We will always remain connected with the team and will continue to recommend Keeping it Realty to everyone we know and come across. Helped us understand the selling process and provided great strategies that maximised the sale price. Kept us well informed after inspections. Was able to negotiate a great price. Very contactable. Keeping it Realty have always been kind, professional, and available to discuss any queries or concerns whilst we are residing in our home. The line of communication is always clear and accessible, one of the best I've had from a renting perspective. Incredibly happy with the team! Keeping it realty are hands down the best land agents we have ever dealt with. They are friendly, professional, and respectful. All requests are attended to quickly, communication is timely and easy. I would high recommend them.